While some think that healthcare marketing can be divided into B2B and B2C initiatives, the truth is that health-focused communications demand an integrated approach that is still somehow able to relate to these markets in different ways. These healthcare marketing messages are further complicated by the strict regulatory and legal guidelines that have been established to protect both consumers and brands. While this communications dynamic is certainly unique, the one common factor is that healthcare search marketing is essential to reaching both patients and practitioners. 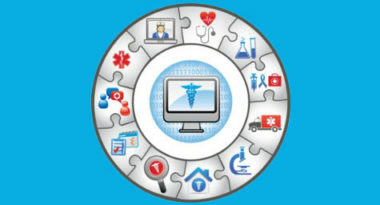 MediaPost.com recently reported on how the healthcare search process evolves throughout the patient journey. The first step of the patient journey is usually an online search for their particular symptoms. Such self-diagnosis has become increasingly popular due to the abundance of health-related information and resources available online. The next step is usually a visit to the doctor where the patient is either diagnosed or sent to a specialist. Once home and armed with a more accurate diagnosis, the patient usually continues to search for details online. Subsequent appointments with specialists only extend the amount of time devoted to such online searching. But patients aren’t the only ones participating in these healthcare search techniques. Search engine use is high among healthcare professionals at the points of diagnosis and treatment, according to data from Google and Manhattan Research. This indicates that search engines are just as vital to the providers as they are to the patients along their journeys. Since both B2B and B2C markets rely so heavily on search engines, this channel presents an outstanding means of exposure, education, and engagement for healthcare marketing professionals and brands. The key to maximizing your healthcare search marketing communications is to develop content and keyword-targeting strategies for every audience and at stage of the patient journey. These include patients and their families seeking detailed information and support along the way, along with physicians and nurses looking for the latest treatments and data. While each message may be different, healthcare search provides an outlet for connecting with all of these players who are contributing to care throughout the patient journey. To learn more about the power of healthcare search marketing, contact MDG Advertising. At MDG Advertising, our 360° marketing approach uses just the right mix of traditional and online media to reach your healthcare marketing goals. While some industries may fare better in print and others online, we strive to create a balanced approach where digital and traditional marketing efforts support each other and your marketing message is tailored to the medium. To stay on top of the latest trends in healthcare search marketing, contact MDG Advertising.